The type of display required will depend largely on the environment in where the digital signage will be shown. Some places could cope with a good quality domestic level TV or monitor, whereas others would require professional LED screens, some areas may also benefit from the use of a projector. We offer 3 options for hardware to provide your screen with your digital signage content. From the ultra small Android ARM powered dual core system, ideal for small places and very low power for the eco minded, to a full Intel i5 Windows pc. The type of hardware required will depend on the content of your digital signage content. Our cloud digital sign software offers complete remote management of your digital signage content. We offer optional packages that include updates to your digital signage campaign. If your digital signage will involve sound, then there are several options, this can be integrated into the screen or have additional external audio facilities such as speakers or sound bars. Our digital signage can also receive a live input, so you can run digital signage as an overlay for the big game or music channels. 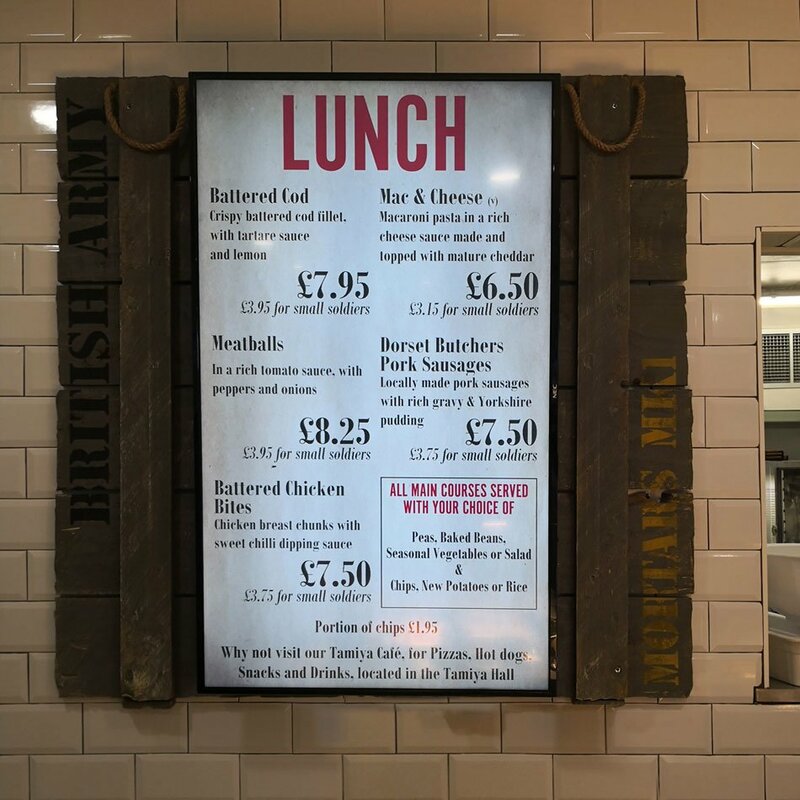 Any digital signage installation is bespoke and tailored to your needs. Screen prices depend on size and type required as well as type of mounting. These are priced at the time of enquiry because of the constantly changing prices in the world of electronics, this allows our screen prices to stay competitive. The cost of setting up a digital signage campaign depends on your requirements. Option 1: Design & Manage Digital Media Solution. We take care of all your design requirements and build your campaign. We provide a specific quote based on the size of your campaign and the costs involved in setting up. We offer either a subscription based update system where you pay a fixed monthly fee for any required updates, or we just cost per update. Option 2: Managed only option. You provide the artwork and we build your campaign. If you know your jpgs, pngs and your mp4s you are welcome to supply all your artwork to us and we just quote to turn that into a digital signage system. We provide the know how and assist with the setup and you are free to run on your own, although we recommend familiarity with graphic software for this option.